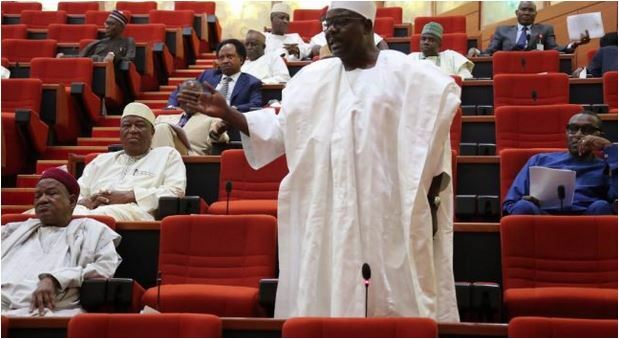 Three senators, Ahmed Lawan, Ali Ndume and Kabir Marafa, clashed on Tuesday over an ad hoc committee set up to probe a “$3.5 billion subsidy fund” belonging to the Nigeria National Petroleum Corporation (NNPC). Senate President Bukola Saraki said Lawan will be on the committee. But Lawan said he holds his integrity “dearly” and would not want it damaged. “Therefore I decline. Let me also advise us that this senate is a representative of Nigeria. We are here for all Nigerians. What we do and how we conduct ourselves is a big deal,” he said.